If you gaze for long into an abyss, does the abyss gaze also into you? 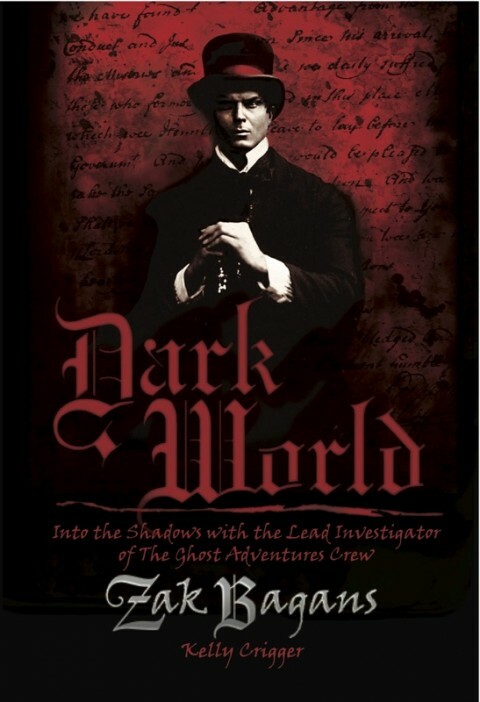 There are a lot of questions posed in Dark World: Into the Shadows with the Lead Investigator of The Ghost Adventures Crew, the new memoir by paranormal investigator Zak Bagans, co-creator and star of Travel Channel’s reality-TV show Ghost Adventures, and creator and host of the network’s competition show Paranormal Challenge. For instance, what makes a grown man spend his nights in purportedly haunted locations? How did he get into the paranormal? What are his theories on ghosts and demons, and why investigate the way he does? What are his favorite locations to visit? Out of all the questions posed, it’s the one above, paraphrased by Friedrich Nietzche, that seems most pressing. If a man fights too long against dragons, doesn’t he run the risk of becoming a dragon himself; might he not be absorbed by the dark world? Anyone who has watched Adventures knows that Bagans is a big personality. As leader of his team, which includes friends Nick Groff and Aaron Goodwin, he is an intense character of reality TV who commits completely to his work. And that work just happens to require he plunge into the abyss on a regular basis. Aided by co-author Kelly Crigger, Dark World reveals that while he’s attracted to the dark side – and is comfortable interacting, flirting and poking at it – he is not himself of the dark. In fact, the book - less of a linear account of the 2006 Ghost Adventures documentary or the show, which premiered in 2008 - often reads like the journal of a supernatural explorer. He theorizes about the unknown, and is both working out answers to his personal inquiries while positing questions for whatever reader stumbles upon his words. It is actually pretty fitting that Bagans reports having dreams (or pastlife flashes?) of himself as an 18th century deckhand since the book could just as easily be the lost letters of an Abraham Van Helsing discovered on an abandoned ghost ship. And yet, even when discussing topics that some consider preposterous, Bagans’ sounds remarkably rational. He doesn’t paint himself to be a paranormal warrior – although that would be pretty badass. Contrary to certain assertions that Bagans just shouts at ghosts all night long, the investigator is quite thoughtful about his pursuits. He talks about frightening moments and encounters with lost souls that overcame him with sadness. He has visited hundreds of sites that witnessed murder, torture and heartache, and it has affected him, he says. Bagans also uses Dark World to discuss intimate details about his life. He opens up about the “severe social phobia” he had as a child, and how he felt empowered by his ghostly connections. He writes that he’s “sensitive” to paranormal phenomena, and explores what that means to him. He additionally shares his love of certain movies; he has an affinity for Ghost and expresses hope the afterlife is similar to it. However, even if he’s “sensitive,” it would be incorrect to say the book exposes the “sensitive side” of Bagans. Instead, these are more the quiet thoughts of an explosive, dynamic personality. But the explosive part is in the book as well. Bagans is an adrenaline junky for the paranormal. Sure, he says he gets scared, yet admits that there is a high associated with dealing with the unknown. Plus, Bagans says he won’t shrink away from a good dustup with a demon. He views those nasty spirits as bullies and is willing to take the fight to them to help stamp out the malevolence. These sentiments make Dark World pretty exciting and refreshing. So frequently, the new wave of paranormal investigator is so dedicated to appearing like a serious researcher that they won’t cop to the fact this stuff can be macabre fun and that it can hook you. While the book is not Bagans’ attempt to frighten the reader, one of the joys of Dark World is the occasional chill the reader experiences as a result of his encounters. With every page and anecdote, the ghost adventurer suggests you needn’t be too afraid of the paranormal – until you should be very afraid. Those chills separate the skeptics from the believers amongst readers. 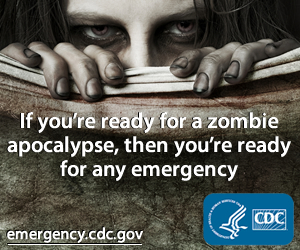 If the potential hazards of his adventures freak you out even a little, then he suggests you may be more of a believer than you’re willing to admit. Bagans himself warns it is important to maintain a level of skepticism when investigating, but he is not a skeptic. This is another departure from other paranormal investigative books that leverage the conviction of the investigator with too much doubt. A book about a ghost hunter should largely be about a ghost believer, and Bagans definitely is one. He will discuss his beliefs with skeptics but won’t dial them down to do so. He makes it evident time and again that a large portion of his mission is to understand and help where he can. Bagans communicates he thinks it’s possible for the living to provide assistance to the formerly living. If you only judge his actions based on his provocative interactions with evil entities, he says you just don’t get it – and that’s fine by him. This is also a testament to Crigger whose light touch assists the investigator in maintaining his voice and sense of humor. Fans of Ghost Adventures and Paranormal Challenge will recognize Bagans on the page. Likewise, though it helps to already be familiar with the shows when reading the book, it isn’t necessary. Bagans and Crigger do use some shorthand when discussing locations from the series or investigative instruments, but newcomers won’t be left in a lurch. In Dark World, Zak Bagans says he’s stared into the abyss - continues to stare into it - and he wants to give readers a glimpse of what that’s like. The result is an insightful, sometimes freaky, read from a man you may recognize from TV but don’t yet truly know.